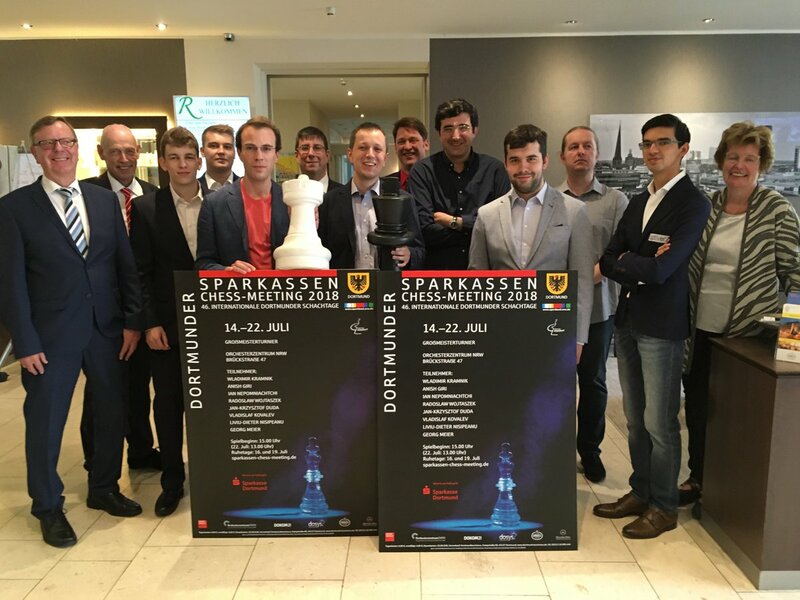 The 46th Sparkassen Chess Meeting starts in Dortmund, Germany on Saturday, with world no. 5 Vladimir Kramnik looking to add to his haul of ten Dortmund titles. He’ll face tough competition from Anish Giri, who’s risen to world no. 6 this year, and the always dangerous Ian Nepomniachtchi, while the defending champion is Radek Wojtaszek. He recently lost his Polish no. 1 spot to 20-year-old Jan-Krzysztof Duda, who is also the world’s top junior. Could this be the youngster’s breakout event? Vladimir Kramnik first played in the Dortmund Open in 1992 as a 16-year-old, when he tied for first place. A year later he finished 2nd to Anatoly Karpov in the top event, and in the 25 years that followed he’s only missed the event twice. He won the title six times between 1995 and 2001, then another four times between 2006 and 2011, but surprisingly that 10th title has so far been his last, with Caruana (3 times), Adams, MVL and Wojtaszek all getting their hands on Vlad’s pride and joy. Can he finally win it again? Well, at the age of 43 he still enters as the top seed, and has reinvented himself as the boldest attacking player at the very top of the chess world. If recent history is anything to go by we can expect him to play the longest games and take the most risks in Dortmund, but the results will be highly unpredictable. He conceded only 5 draws in 13 games in Wijk aan Zee at the start of the year, then only 3 in his first 10 games at the Candidates. He nearly beat Caruana to get off to a 3.5/4 start there, but losing that game after rejecting a draw offer was the signal for him to enter kamikaze mode. His recent performance as a wild card in the Paris Grand Chess Tour didn’t inspire confidence, but perhaps that was just the speed chess warm-up he needed before the serious action in Dortmund. 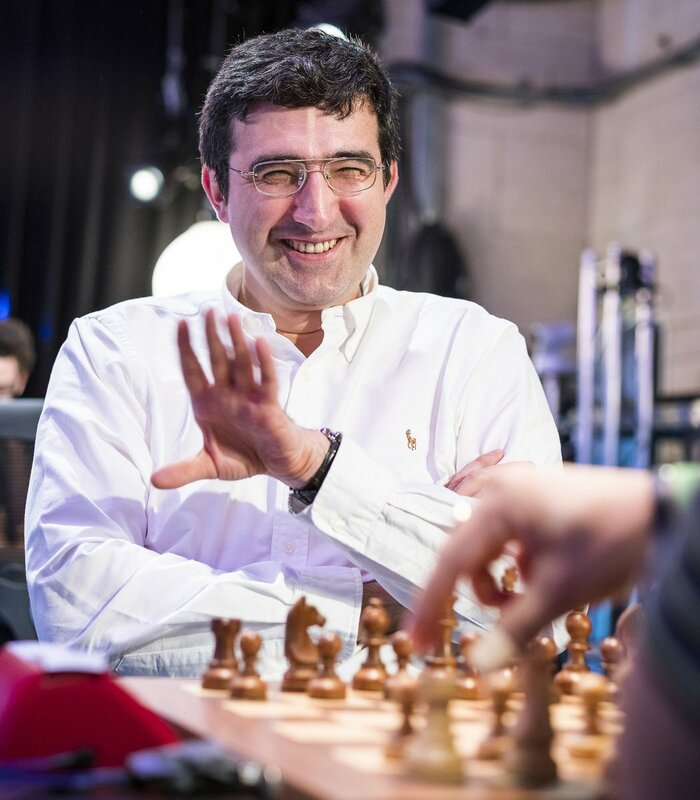 A promising omen for Kramnik is that the last time he won Dortmund, in 2011, was also the last time Anish Giri played the event, though Anish has come a long way from the 2701-rated 17-year-old he was back then. He’s now a 24-year-old married man and father, but more importantly for his chess prospects an unbeaten +5 in the 2018 Tata Steel Masters took him back into the world top 10. It was unlucky that tiebreaks had recently been introduced in Wijk aan Zee, and that he was facing Magnus Carlsen, since he was denied what would have been his 1st undisputed super-tournament triumph (Reggio Emilia 2011-2012 is the disputed one). He’d no doubt like to end that argument once and for all – and it might help that one of the players he beat in Wijk aan Zee was one he previously had a 7 losses to 0 wins record against: Vladimir Kramnik. To tell the truth, I believe that the only goal for a chess player who plays professionally and who feels himself capable of it is to qualify for the World Championship match. Few doubt that on sheer chess talent alone Nepomniachtchi belongs among the contenders. He's previously won the Russian Championship, the Tal Memorial and came incredibly close to winning last year’s London Chess Classic before losing to Fabiano Caruana in a playoff. 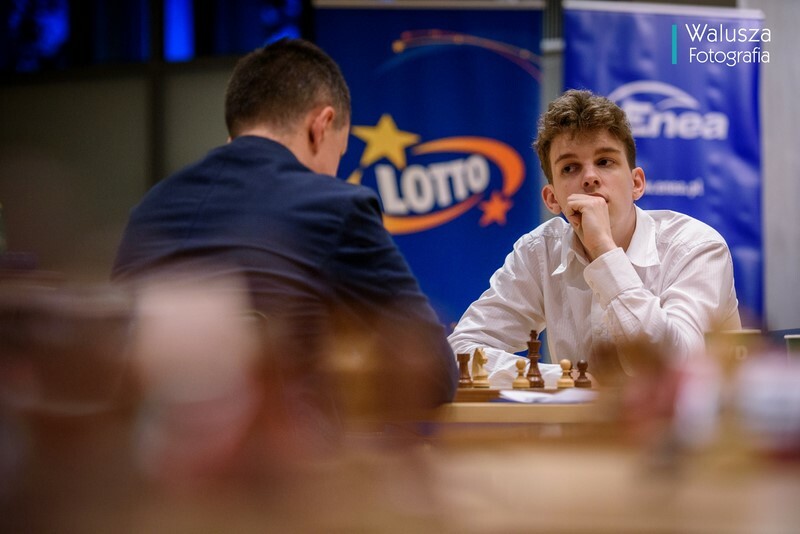 He also has a Dortmund history, first appearing as a 17-year-old in 2008, when he finished joint second behind Leko with Ivanchuk, Mamedyarov and Gustafsson, a full point ahead of Kramnik. After that, though, he only played once more, when he finished a disappointing 6th in 2015. It was the most impressive achievement of Radek’s career so far, though for now, at world no. 24, he still can’t quite break into the absolute elite. If he needs some more competition to spur him on then he definitely has it now, with Jan-Krzysztof Duda crossing several milestones as he turned 20 this year. In May he beat Wojtaszek on the way to winning his first Polish Championship title, with an unbeaten +4 that was in a way even more impressive since it seemed he wasn’t in top form. A last-round draw rather than win meant he had to wait a week or two for the next milestones, but an unbeaten +3 in the French Top 12 saw him overtake Wojtaszek as the Polish no. 1 and overtake Wei Yi as the world’s top junior. He also briefly reached the world top 20, though he goes into Dortmund as no. 21 on the official rating list. It seems Duda has the world at his feet, but if we’re talking about reaching the very top you could argue he’s behind schedule. The likes of Carlsen and Kramnik were world no. 1 at 20, while the coming months may be crucial for Duda if he wants to force himself into the elite group that can rely on regular supertournament invitations. A top performance in Dortmund would be a great start – perhaps it might also make Duda reconsider whether he wants to remain a university student at such a crucial moment in his career! The German Chess Federation was able to pick two German players this year and chose German no. 1 Liviu-Dieter Nisipeanu and German no. 4 Georg Meier (we’re contractually obliged to note here that Jan Gustafsson is currently German no. 2 ). Neither player is a pushover by any means, with Nisipeanu in particular having been super-solid in recent years – his loss to Wojtaszek in last year’s event came after 13 Dortmund draws in a row. Both players have finished joint 2nd in Dortmund, though both also know how it feels to finish last. Georg Meier also finished last on a winless -3 at this year’s GRENKE Chess Classic, though it’s worth remembering that included a huge chance to beat a certain Magnus Carlsen! 24-year-old Kovalev earned his place in Dortmund the hard way by winning the ferociously tough Aeroflot Open in Moscow earlier this year. That was the second year in a row he’d posted a 2791 performance there, so the young Belarussian clearly has talent, but what he doesn’t have is much supertournament experience. He did get to face Nepomniachtchi (a draw) on the way to scoring 50% with two wins and two losses in Poikovsky last month, but how will he adapt to facing the likes of Vladimir Kramnik and Anish Giri after they’ve had time to seek out any weaknesses in his game in the last couple of months? We’ll soon find out! The Dortmund games will be broadcast from about 15:30 (a 15-30 minute anti-cheating delay is usually added) on Saturday 14th July, and you can watch them all here on chess24!